There is plenty to explore in Rio’s city center in the afternoon and evening; however, on weekends, and after 6PM on weekdays, it is advisable to use taxis and public transport to get around, as the streets do become deserted and can be unsafe. RIO DE JANEIRO, BRAZIL – Rio’s ‘Centro’ (city center) is packed with history and life, and as day turns to night, many flock to its bars, cultural attractions, restaurants and clubs. Here is a selection of a few wonderful ways to spend an afternoon and evening in the city center. Many people who work in Rio’s city center or who take one of the many ferries from Praça XV stop off for a drink or some food at the historical street of Rua do Ouvidor, near the Arco do Teles, where there are many casual bars and restaurants with chairs spilling out into the street, photo courtesy of Alexandre Macieira/Riotur. In the previous guide to spending a morning in Centro, there were plenty of cultural sights worth visiting, and the same can be said for an afternoon and evening. The oldest cinema in Rio, the Odeon, and the majestic ‘Theatro Municipal’ (Municipal Theater) occupy different ends of Praça Floriano, next to Cinelândia metro station. Still as vibrant as ever, while retaining their old-Rio charm, the cinema and the theater are well worth a visit for some afternoon or evening entertainment; and situated equidistant from these two cultural landmarks is Amarelinho da Cinelândia, a historical evening hangout famous for its cold ‘chopp’ (draft) beer, bar snacks and feijoada. Another option in the late afternoon is to head to Curto Café, hidden away in Building Menezes Cortes, for one of the best coffees in the city, and with a unique payment scheme where you pay as much or as little as you wish. SAARA, the sprawling market by Uruguaiana metro station, is another fascinating place to visit, either as a shopping destination, or simply to pick up a bargain or two before heading on to the next stop. It stays open until 6PM on most weekdays. Some of the greatest places to sample Brazil’s national spirit, cachaça, are also situated in the city center, with many being historical institutions in their own right. Café do Bom Cachaça da Boa is a beautiful half-bistro, half-bar where the clientèle can sample over 100 different cachaças, as well as some excellent Brazilian snacks such as ‘pão de queijo’ (baked cheese puffs) topped with Parmesan cheese. While a lot of the restaurants are closed in the evening, Cais do Oriente is worth visiting the city center for alone. Situated in a warehouse dating from 1878, it has been decorated with sprawling plants, trees and artistic lighting to create a uniquely magical atmosphere, perfect for a romantic dinner. Rua Imperatriz Leopoldina, or ‘Beco das Artes’ (Arts Alley) is a narrow street that hosts some of the liveliest parties in the city, photo internet reproduction. Cais do Oriente is also handily situated near to Rua do Ouvidor, which is filled with bars and restaurants that stay open well into the evening, as well as popular music spot Samba da Ouvidor, which puts on some of the most popular samba nights in the city, always attracting a big crowd. 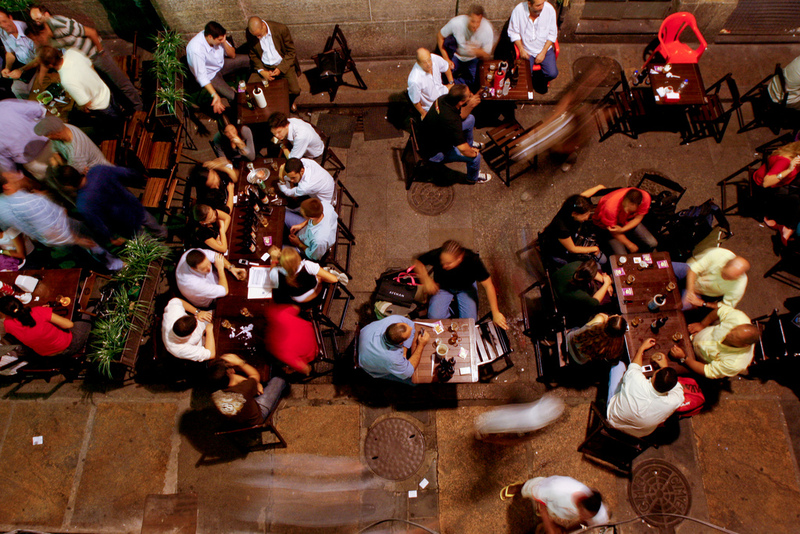 Rio’s city center also hides away one of the best nightlife spots in the Cidade Maravilhosa. Surrounding Praça Tiradentes are many places to take the evening into the next morning, including the popular nightclub Espaço Acústica; but Rua Imperatriz Leopoldina, or ‘Beco das Artes’ (Arts Alley) is the place to be for many cariocas on a night out in the city center, as it regularly hosts parties, live music and Djs. 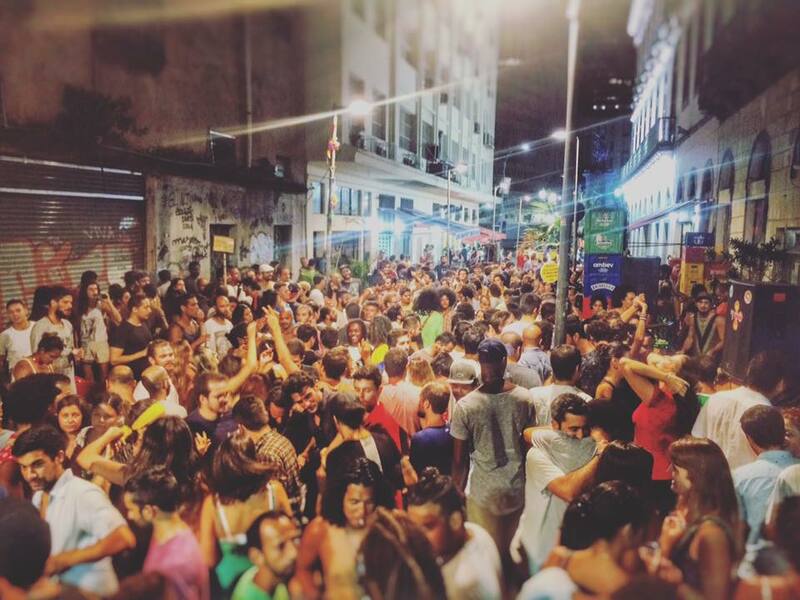 Regarding his favorite nightlife spot in the city center, Luiz Franco, local journalism student, says that “Bar do Nanam, down Beco das Artes, is the best!” While Billy Aldea-Martinez, who Djs under the moniker WilHvlm, agrees. The city center is also perfectly situated in between popular nightlife destinations such as Lapa, Pedra do Sal, and the newly regenerated event venue Praça Mauá, all of which are only a short cab journey away. Rio Safe? Thinking of going in early December with wife. We are 42yo. We would want to go out at night and beach during the day. I see some say it is safe and others say to avoid at all cost. Some say stay away from beaches others say they are fine. Can’t get a clear consensus. I have traveled to mexico extensively and have never not felt safe. Oh, wife has blond hair and stands out and draws wrong attention….